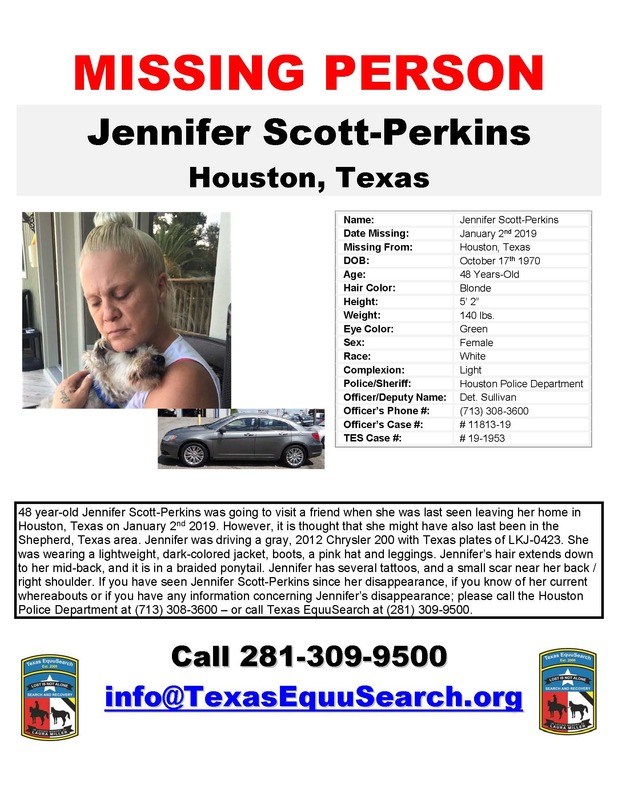 The Houston Police Department’s Homicide Division, Liberty County Sheriff’s Office and Texas EquuSearch are asking for the public’s help in locating 48 year old Jennifer Ann Scott-Perkins who left her home in Houston on January 2, 2019 and has not been seen since she left a friend’s home in Shepherd, Texas very shortly thereafter. The last known location of Perkins was when she made several phone calls from the area of Hwy. 146 and Hwy. 787 near Rye, Texas in far north Liberty County shortly after leaving her friend’s home. Perkins is described as a white female, 5′-2″, 140 lbs. with blond hair extending down to her middle back but usually worn in a pony-tail braid. She has green eyes and is light completed with several tattoos on her arms and back. When last seen, Perkins was wearing a pink hat, tights, boots and a thin jacket that was gray or black. According to information, Perkins was emotionally upset when she was last heard from. 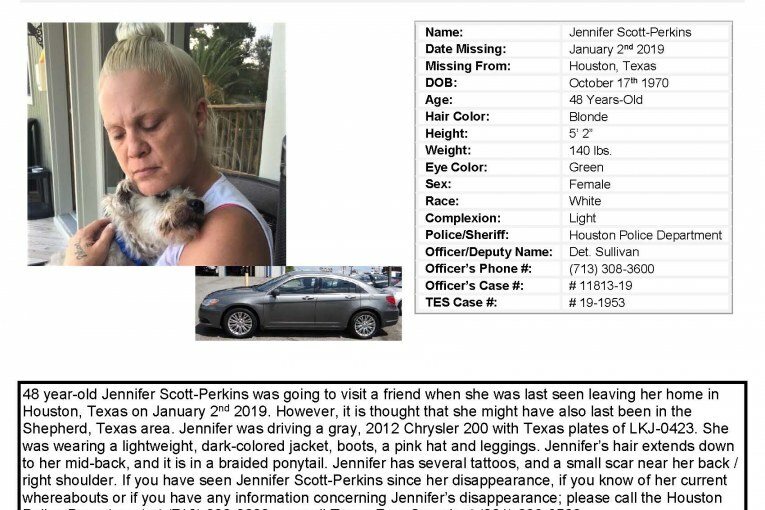 She was driving a gray colored 2012 Chrysler, 200 with Texas license LJK 0423.